BMW 640i WHITE ON BROWN 2014/2015 BMW 640I 2015 NIK 2014 17rb an km eissenman exhaust modif, yg ori ada juga disimpen free coating sebelum diangkut plat B tangan pertama..
BMW 640i Coupe 2015/2013 Color: White on Cinnamon brown KM 13k on going All Original Service Record BMW Astra Idrive 6.0 2018 Idrive headunit 2018 (full flat screen no.. Authorized Dealer BMW BINTARO READY BMW 640 Gran Coupe 2012 (Special Price) !! Best Price for 320d, X3d & X4 Msport Ready BMW X1 1.8 xLine PT. 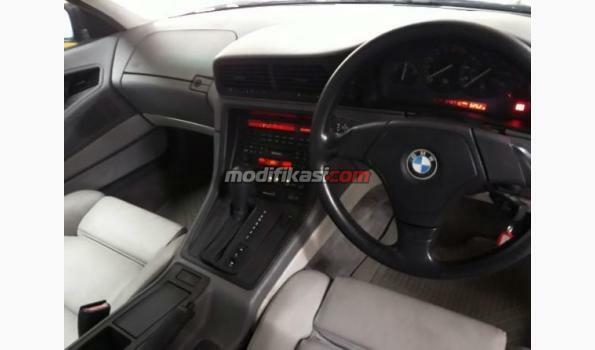 Bestindo Car Utama ..
BMW 645 CI AT 2005 White On Red Stnk agustus 19 KM 30 ribuan Kaki kaki baru diganti (Sock, discbrake, rem baru ganti) Service record Harga Rp 525 juta Bisa cash, credi..
BMW 640i COUPE WHITE ON CINNAMON BROWN 2013 BMW 640i COUPE ATPM 2013 Full option km 12 rb bln 8 white on cinnamon brown Idrive nbt evo 6.0 2018 (120jt) eibach springs (o..